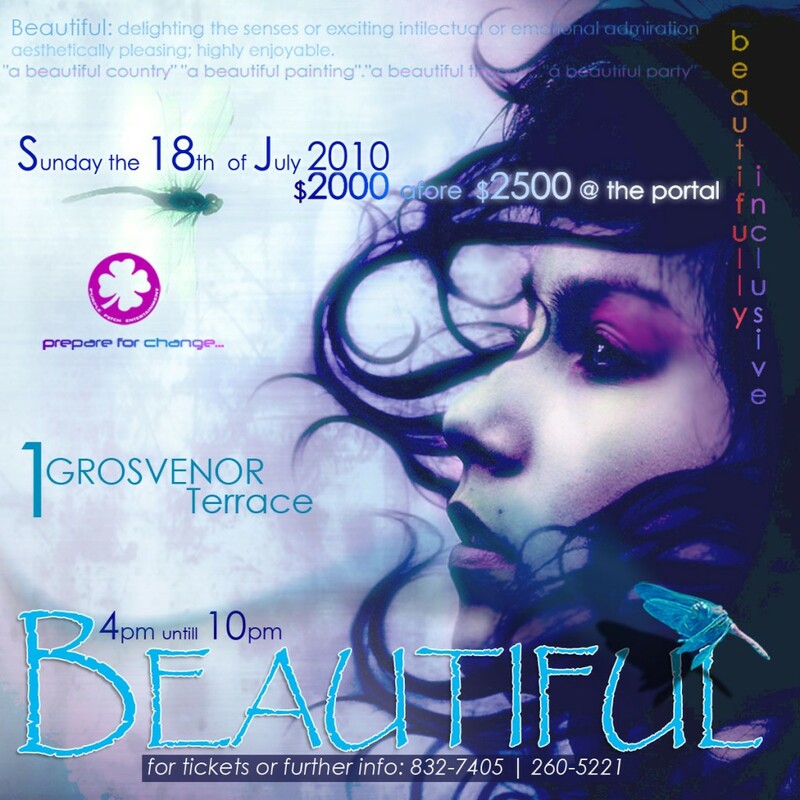 Sunday, July 18 Purple Patch Entertainment presents “Beautiful” which they describe as, “an adventure that will encapsulate all we’ve come to know and love of entertainment. Stripped of hype and clichés, and built on the premise of clean quality music. Music of the genres. Music of the decades. Music of memories. The Mature Event for the Mature Adult”. 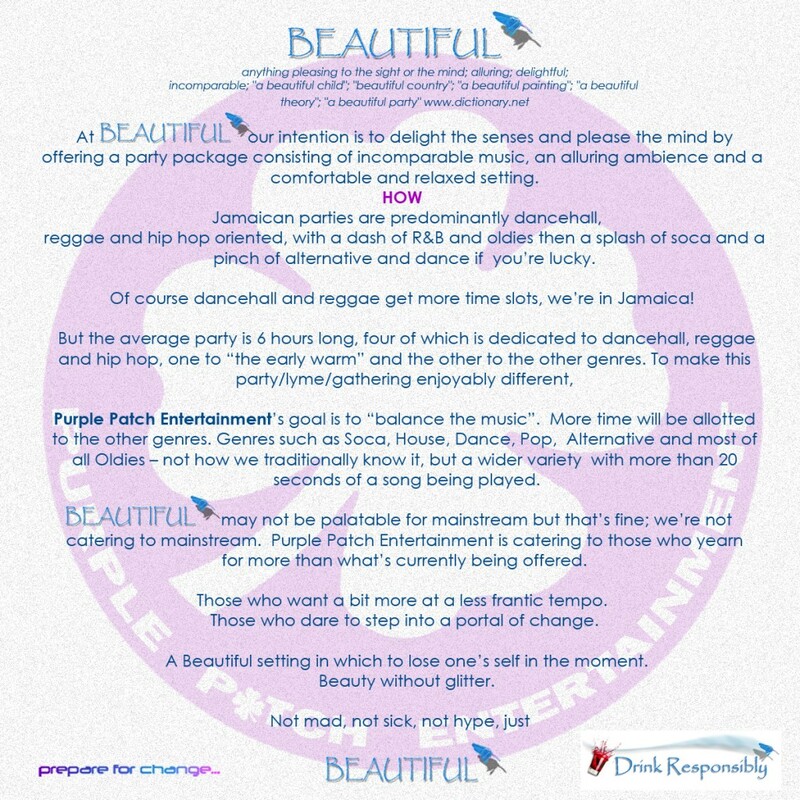 “Beautiful” promises an eclectic mix of music including House, Pop, Soca, Oldies, Hip Hop – a little bit of everything, for those who yearn for more than what’s now being offered. Music to be provided by Engineroom, Christian Watt and others. Sounds good, YardEdge says let’s check it out!